Fast food meals are alright when you’re not guilty of having them as often as you’d like to admit. Indulging in your cravings is fine every now and then, but it’s a different story when you hit the drive-thru many times in a week. 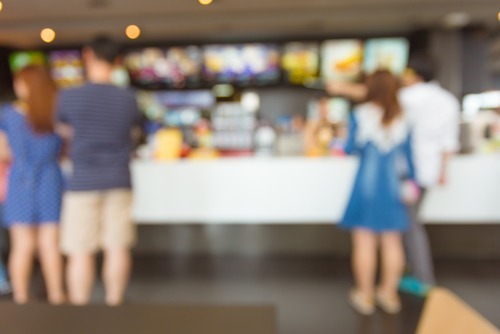 Fast food being delicious and convenient may be very appealing considering people’s fast-paced lifestyles, but you have to think long-term, such as what is it going to do with your body and overall health? Not good for sure. Most fast food meals have added sugar, which means extra calories, but minimal nutrition. The recommended intake of added sugar per day is 100 to 150 calories, which is about 6-9 teaspoons. The bad news is that fast food drinks alone already contain 12 ounces of added sugar. A 12-ounce can of soda already has 8 teaspoons of sugar, and that’s only one drink you consume in a day. That constitutes to 130 calories and 39 grams of sugar with nothing nutritious in it. If you add all the other drinks you take each day, you’re obviously going beyond the limit, and beyond the limit is rarely good. Then there’s trans fat, which is mostly present in pizza dough, crackers, cookies, and pastries, food items many people love to eat. To be clear, no amount of trans fat is healthy. It’s bad for you, period. 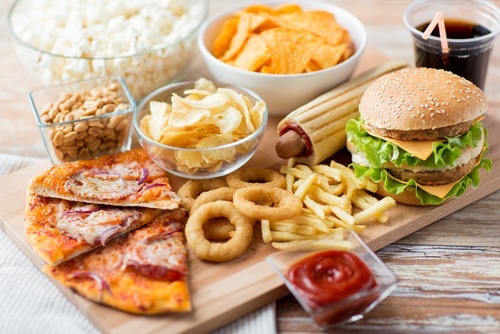 Eating foods that have trans fat can boost your LDL or the bad cholesterol, reduce HDL or the good cholesterol, and boost your risk for type 2 diabetes and heart disease. See? Totally bad in all sides. Fat, sugar, and sodium in a meal can make it very tasty indeed, but you’re compromising your health in the process. Foods with lots of sodium can cause water retention, which gives you the feeling of puffiness. Sodium-rich food items aren’t also good for those people with blood pressure problems. Sodium, basically, can raise blood pressure and place a strain on the heart and cardiovascular system. The problem is that most adults underrate the amount of sodium put in their fast food meals. Keep track of your daily sodium intake to make sure your health is protected from certain risks. Adults are recommended to consume not more than 2,300 mg of sodium each day. If you’re looking to shed pounds, you should steer clear of fast food meals. 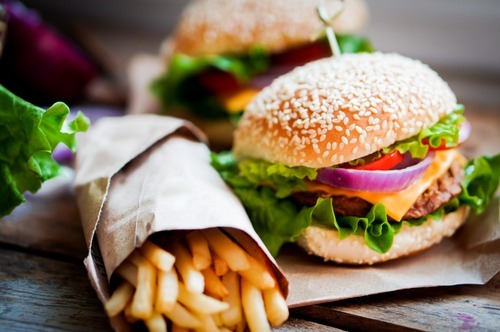 Aside from being tasty, fast food items are also best known for their excessive calories, which cause obesity. Obesity boosts your risk for respiratory issues, such as asthma or breathing problems. The surplus weight can also put stress on your heart and lungs. This may make mundane tasks harder, such as walking and exercising. Fast food meals are known to satiate your hunger momentarily, but there are long-term effects and they aren’t pretty. In a study, it was found that people who eat fast food and processed items are 51% more likely to form depression than those who rarely eat them. The components present in making junk foods have been linked to some fertility issues. A research determined that processed food has phthalates. These are chemicals that can interfere with how the hormones function in your body. High consumption of these chemicals could pose a dire consequence on your reproductive health and even cause birth defects. When you follow a healthy, well-rounded diet, not only are you healthy inside, it also shows on your appearance because your skin glows. When you do the opposite, meaning settle on junk food most of the time, your skin’s appearance suffers. There’s been a link to carbs being the culprit for breakouts. Foods rich in carbohydrates cause blood sugar to increase, which may trigger lead to acne breakouts. Carbs and sugar in fast food places can boost acids in your mouth. These acids can disintegrate tooth enamel. When it vanishes, bacteria can take hold, triggering cavities to form. Additionally, weight issues can result to bone density and muscle mass problems. People who are overweight and obese have a greater risk for falling and breaking bones. Many fast food meals and drinks contain large amounts of carbs with minimal fiber. When your gut digests these foods, the carbs are secreted as glucose or sugar into the blood stream, which causes your blood sugar to increase. Your pancreas then reacts to the pouring of glucose by secreting insulin, which is the one that transports sugar throughout your body to cells requiring it for energy. As the body utilizes or preserves the sugar, your blood sugar level becomes stable again. This process is controlled by your body. As long as you’re in good health, you can expect your organs to manage these sugar surges. However, constant eating of fast food meals means lots of carbs, which leads to repetitive spikes in your blood sugar. Eventually, these sudden increases in your insulin may cause your body’s normal insulin response to waver. After all, your body isn’t designed to deal with consistent carbs overload. This then boosts your risk for weight gain, insulin resistance, and type 2 diabetes.